Lee: God is our only refuge and our strength. Let us humble ourselves before Him. Let us confess our many sins and beseech Him to give us a higher courage, a purer patriotism, and a more determined will; that He will convert the hearts of our enemies; that He will hasten the time when war, with its sorrows and sufferings, shall cease, and that He will give us a name and place among the nations of the earth. King: I endorse it (school prayer ban). I think it was correct. Contrary to what many have said, it sought to outlaw neither prayer nor belief in god. In a pluralistic society such as ours, who is to determine what prayer shall be spoken and by whom? Legally, constitutionally or otherwise, the state certainly has no such right. Why is a man once reviled by the Right now celebrated by it as a hero? The answer partly lies in the fact that the mainstream Right has gradually moved to the left since King’s death. The influx of many neoconservative intellectuals, many of whom were involved in the civil rights movement, into the conservative movement also contributes to the King phenomenon. 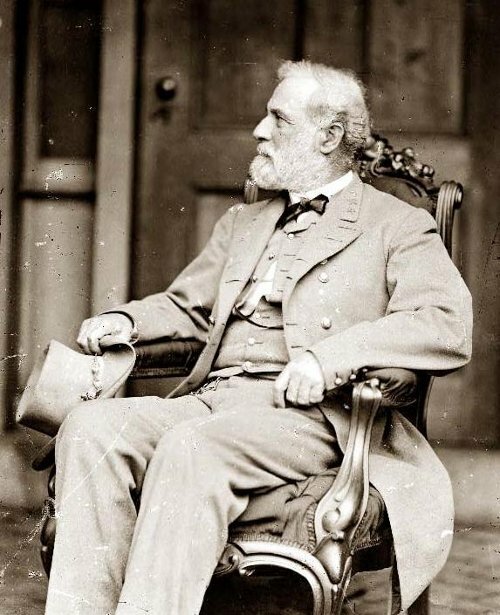 We should all proudly and publicly celebrate Robert E. Lee Day. Let us remind our opponents whose South this really is! Previous Is the New Generation Savvy? This is a great day for the South. It is too bad that Washington and Lincoln couldn´t leave well enough alone.They had to have a war which decimated the South, and to this day Washington is still looking for places in this world to start another war. Is this as Americans do we want to continue letting Washington do this?